I’ve had yet another full and interesting day. I dealt with the last of my jet lag by having a lie in and not accompanying Kindred and Rintrah on their early walk. After breakfast came my introduction to the fascinating world of clay portraiture. A beautiful woman named Jenny showed up, she’s the proffesional model. Jim arrived, he’s one of the artists. Kindred has a stunning studio that occupies the entire upper level of his four story house. 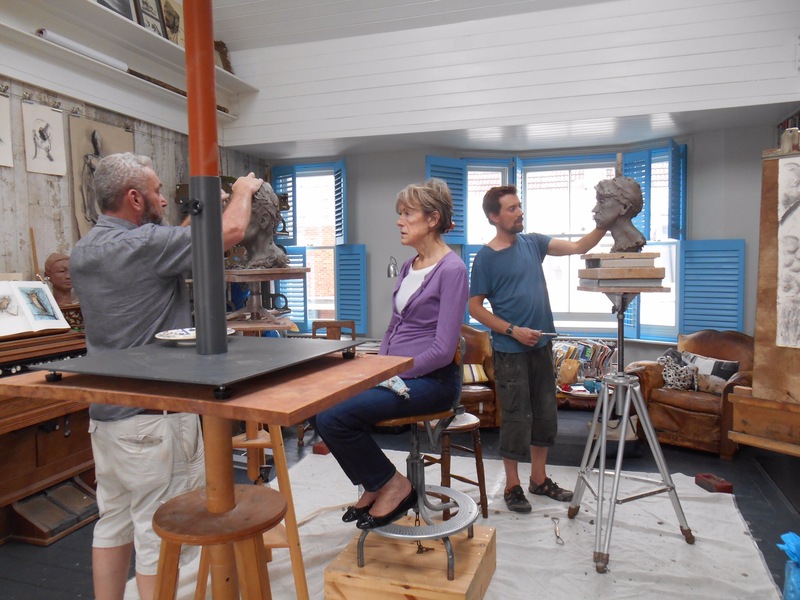 The clay busts were set upon their pedestals. The model Jenny sat upon her revolving seat. The fun began. Now Jim and Kindred are accomplished in this art form and created wonderful likenesses. Me not so much, but I had a fine time none the less. I also created a clay partaite of Rintrah. He seemed to feel he should eat whatever it was. 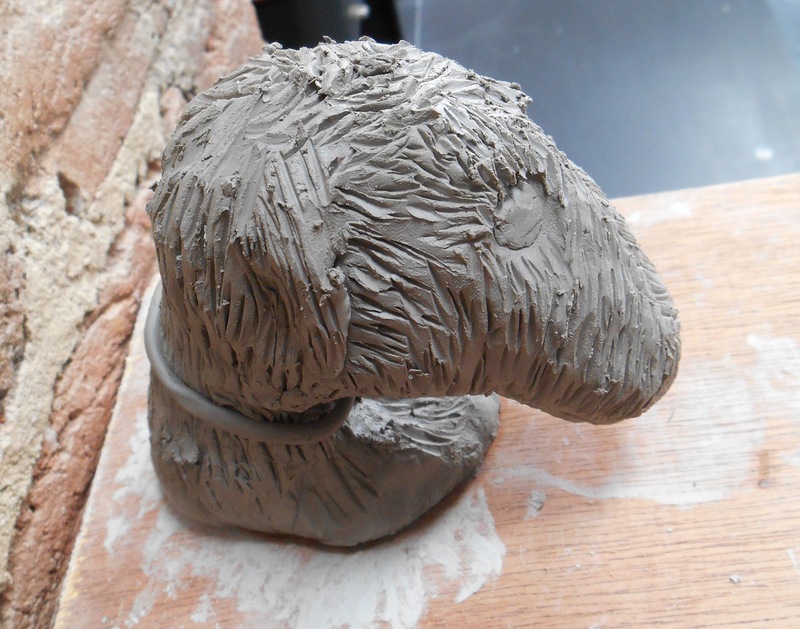 Thankfully I escaped back to the loft studio with my clay blob “Rintrah” still in hand. 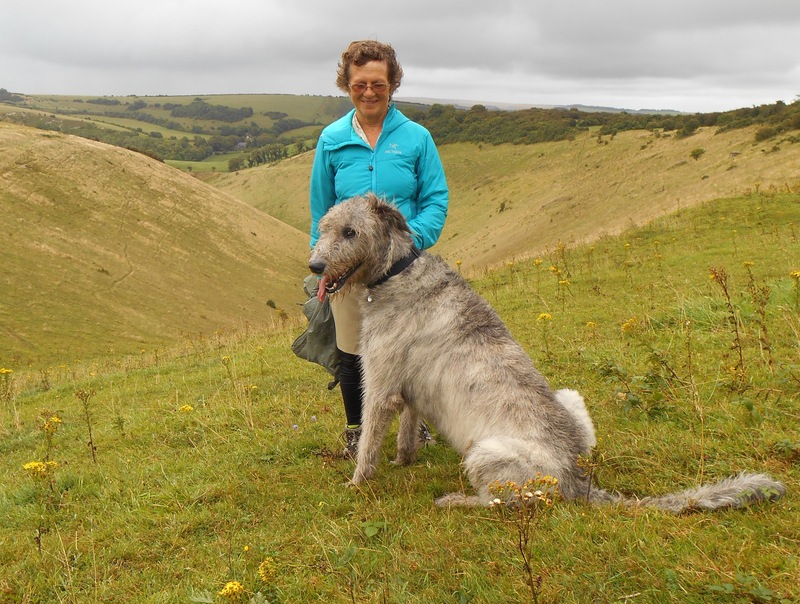 After lunch – yes all that was before lunch – Kindred, Rhintra and I went for a beautiful walk on Devil’s Dyke. This is an interesting geological formation marking the southern reaches of the Downs. Views were fantastic. Beer at the pub where we walked to – most welcome. Back to Kindred’s for a Skype with Sally and a delicious dinner. Kindred is now out giving His Highness his last walk of the day….. I’m off to bed for my last sleep in the UK. Tomorrow evening I head off for Albania. 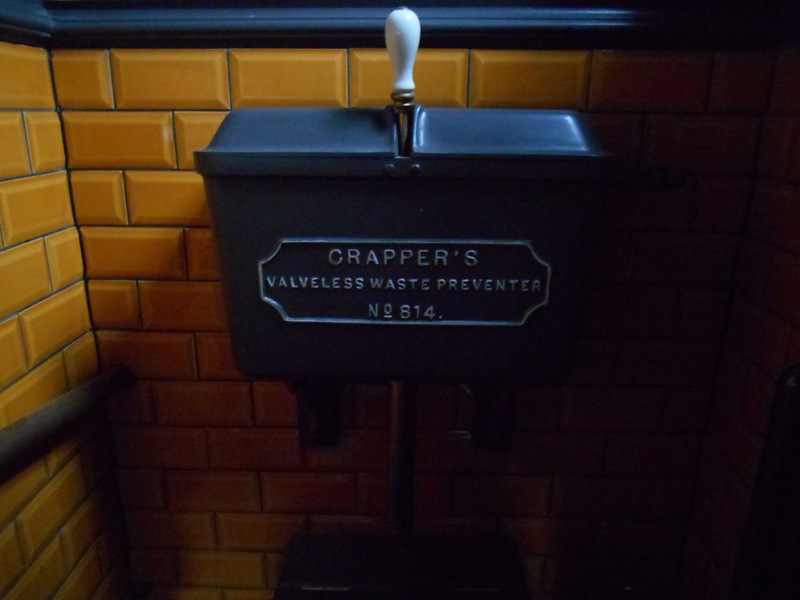 Yes indeed, Mr Crapper’s valveless waste preventer. Known in some circles as a toilet. Couldn’t resist sharing this revelation with you. 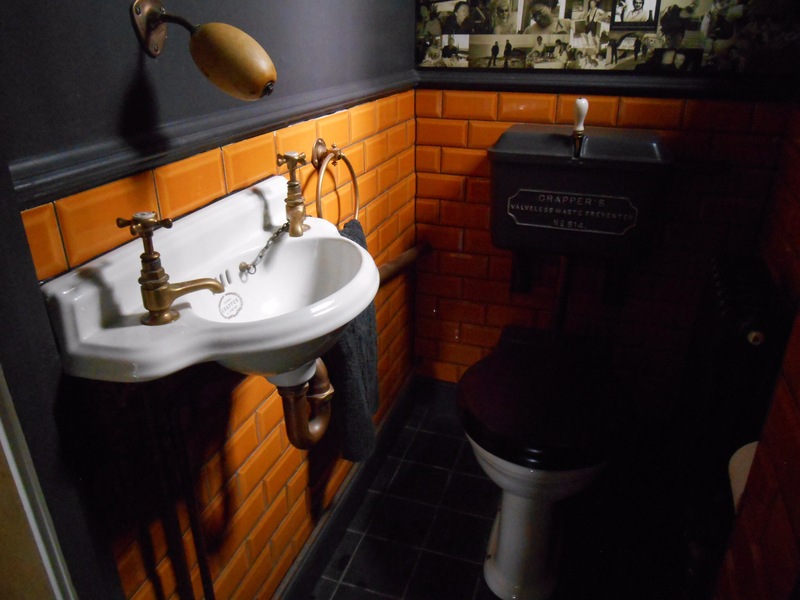 And on that note I shall go bush my teeth at that cute littler crapper sink and…..
Tungjatjeta (hello in Albanian) Kim! I had the same question as Karin – where are you in the group photos? What a lovely way to start your travels, re-connecting with long time friends, being in beautiful countryside, and dabbling in an art studio. Excited to follow you & Pat on your next trek…. Hi Kim, It looks as though you’ve had a great start to your trip. I wondered where you were in the before and after pictures…..??? All the best on the next leg of your journey!